Wrestling prepares a person to compete in the game of life. The wrestler must meet his opponent and do battle completely on his own. No one can substitute and time outs are not possible. You have no one to check, screen, and block or assist you in anyway; there is no one to pass the ball to, and no one to blame for your mistakes. When you win, you must win with class and when you lose, you must lose with dignity. Wrestling is a unique sport. In other sports, when contact is made, they blow the whistle and stop the action; in wrestling when contact is made, we’re just getting started. No sport requires more sacrifice and discipline than wrestling. The individual, through self-denial, offers more of his character, than can ever be explained here. It is something you carry with you throughout your life, and through every trial, test, and tribulation. Wrestling … truly teaches life skills and values. Mr. Roselli teaches Senior School Physical Education and is the Head Wrestling coach at Vancouver College. As a former National Wrestling Champion and National Team member, Coach Roselli has over 30 years experience in wrestling, working with elementary, high school, national and professional athletes. VC alumnus of '00, Sean Cueto has returned to his alma mater as an assistant coach of a wiley Irish Wrestling squad. While at VC, Sean was coached by recently retired grapplers Wade Anderson and Gordon Penn. Sean is excited to be a part of the "Irish Tough" wrestling crew. Joe graduated from Vancouver College in 1990. While at VC, he participated in Wrestling and continued to compete while at Douglas College and Simon Fraser University. He has been coaching since 1990, including at York House School and helped the BC Women's program in the early 90s. Joe is the 3rd highest rank in the world as a referee and has National and International wrestling experience. The success of this season lies solely on the character of the wrestlers who committed to the program. 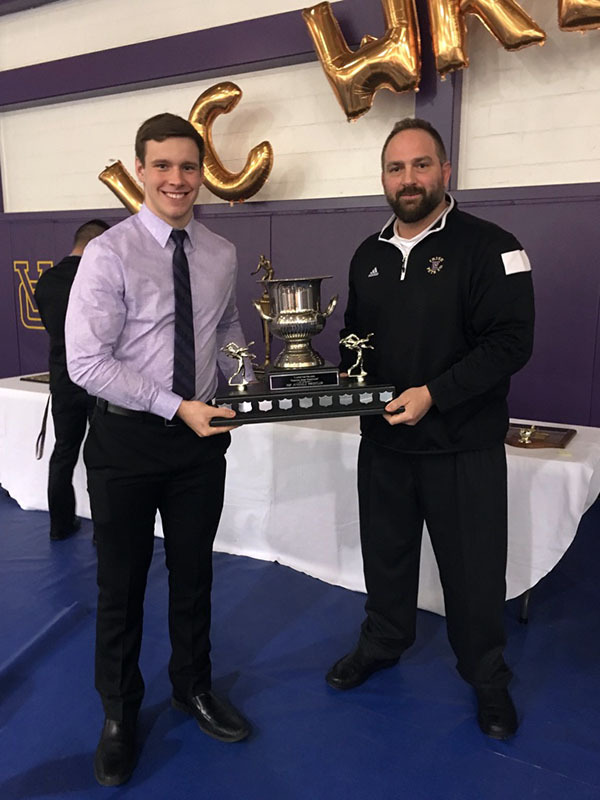 It is through their character and their commitment to the process that Vancouver College has been recognized as one of the top wrestling schools in the province this year. Most Valuable Wrestler - Connor M.
Top Schoolboy Wrestler - Chris T.
Top Cadet Wrestler - Heath Y. F.
Top Juvenile Wrestler - Will T.
Coaches Choice Award - Michael D.
5 Year Men - Connor M. & Will T.